Remember Serra Nissan, the Alabama dealership whose former employees have been charged with conspiracy related to loan fraud? The same dealership is in hot water with federal prosecutors again, this time for different reasons. Automotive News reports that the U.S. Justice department has charged the sales manager and the controller of Serra Nissan in Birmingham with cheating Nissan’s national sales incentive program. Store manager Randy Visser is accused of directing his employees to falsify sales reports in order to make it look like the store sold more cars. Serra Nissan’s controller, Kimberly Branch has also been indicted on 16 counts of conspiracy and wire fraud based on the same scheme. Dealerships often get bonuses from the manufacturer if the store meets or exceeds a specific number of unit sales for the month. Some dealers give deeper discounts at the end of the month to reach that goal. The Serra Nissan employees facing criminal charges for allegedly receiving bonuses they didn’t deserve. 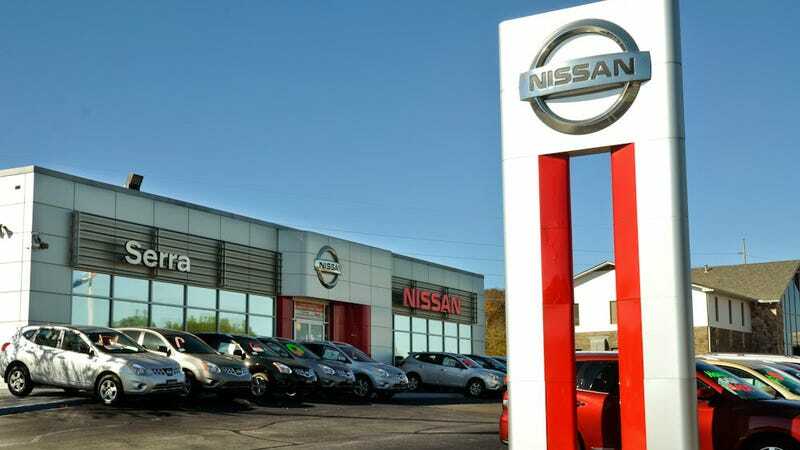 The statement from the U.S. Attorney for the Northern District of Alabama in Birmingham, claims that Serra Nissan reported 15 vehicle sales between March and April 2013 that actually were sold at a separate Serra brand store. Serra Nissan improperly received $64,000 in bonuses for those cars. Visser reached a plea agreement with prosecutors and he intends on pleading guilty for conspiracy. He faces a maximum fine of $250,000 and up to five years in prison. This isn’t the first time that Serra Nissan has been the target of an investigation. Last fall prosecutors charged eight Serra employees with falsifying loan documents and sales information. The former sales manager that was charged in that case has been sentenced to 30 months in prison. How shady can one dealership get?